Our taxi pulled up to an address at the busy intersection at Shahr-E-Nau as Kabul rushed by with late autumn colours. We were running late for a meeting at the newly minted offices of the Afghanistan Photography Network (APN); one of several such meetings with organisations concerned with photography in the region. These meetings are routine when we embark on a region specific edition in PIX. 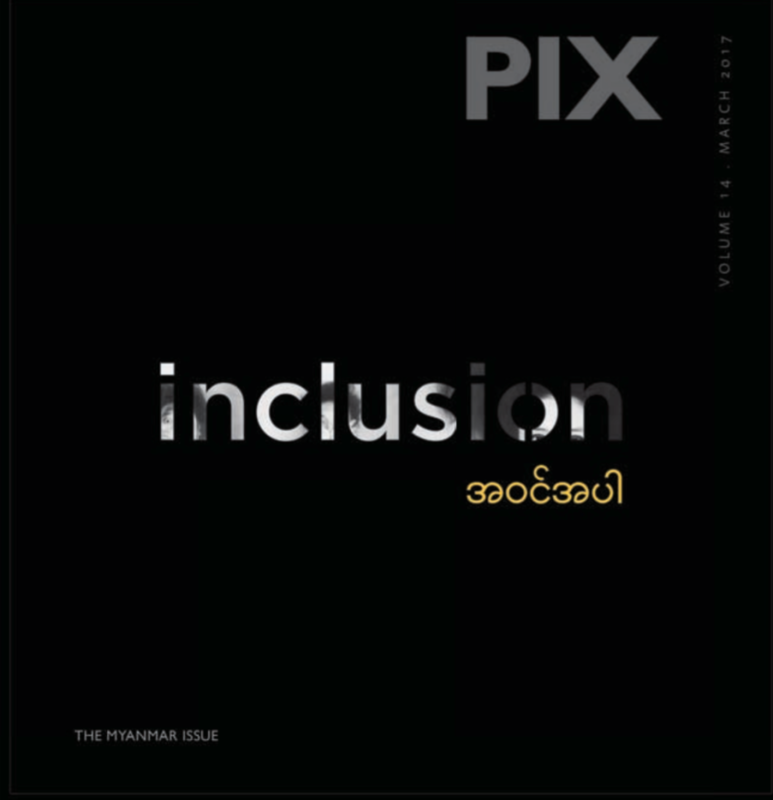 Through conversation and collaboration we hoped to feel our way to a theme for this special issue on Afghanistan and arrive at a structure to match the unique realities of photography there. 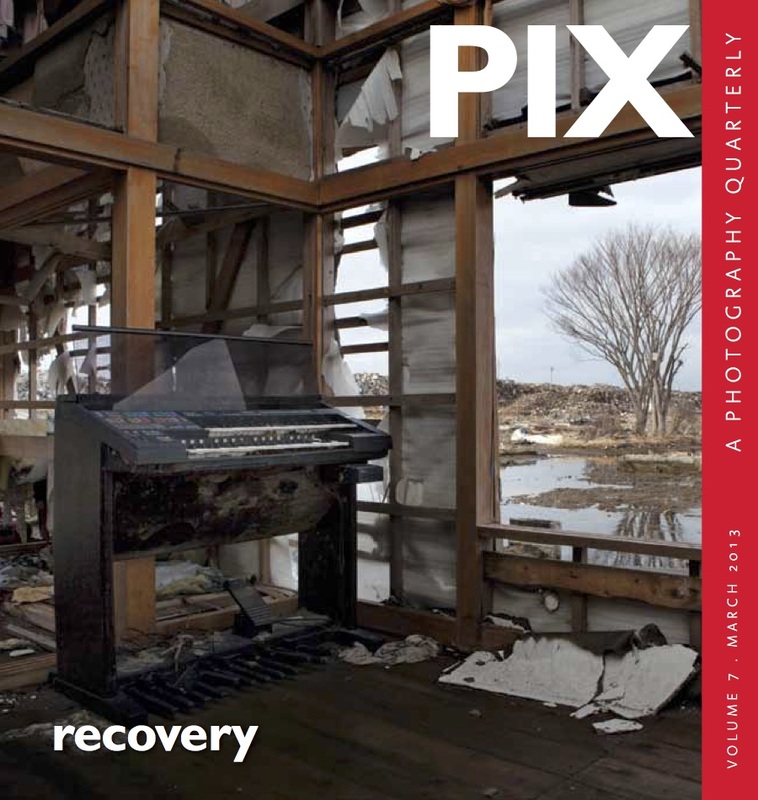 We wanted to catch a glimpse of the ‘photography revolution’, as one practitioner called it. Ever since the Taliban were driven from power, the ability to openly document ground realities, or project personal stories is still considered a new and fragile art form, eliciting very few established practitioners. Farzana Wahidy and Massoud Hossaini, partners who established APN are amongst the few at the helm of this revolution, managing to guide several through partnership and devotion. As mentioned by Farzana in this editorial, Massoud Hossaini’s chilling photograph which won a Pulitzer in 2012, also brought with it a welcome change from the predictable honours awarded to western journalists for their work in war zones. Farzana Wahidy is the first Afghan woman to work for the AFP and later AP, and eventually received a scholarship to continue studies in photojournalism from Canada. 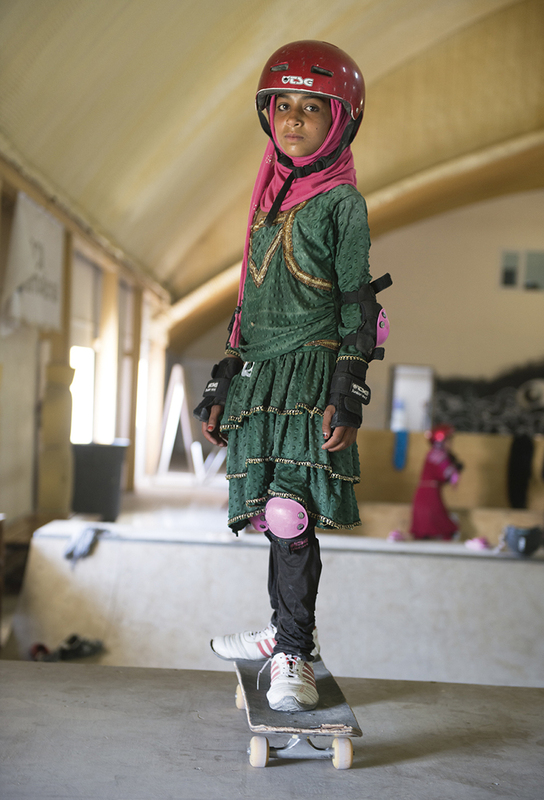 Wahidy, determined and resolute, returned to Afghanistan to document the stature and plea of Afghan women, especially at a time of receding international co-operation and presence in the region. With educational and development organisations significantly reducing their role, budgets drying up and security concerns at their peak, Farzana and Massoud felt that the only way forward was for them to take a definitive step and establish a forum. 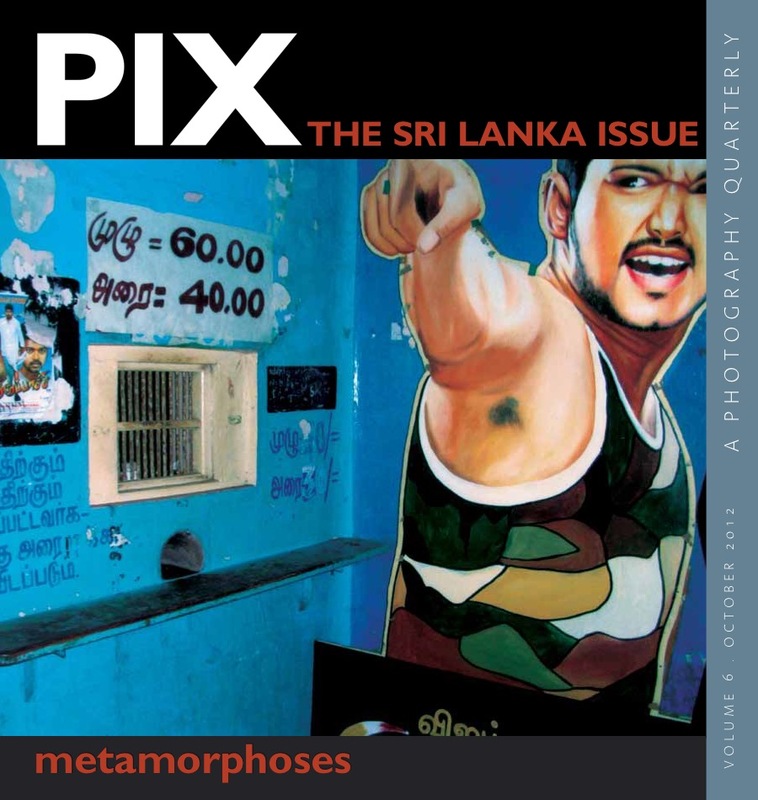 United by their sense of mission – convinced that, as one photographer puts it, a nation without images of itself “does not have an identity at all,” they have outlined a bold mandate to help generate an accurate visual record of their beloved, yet beleaguered country. 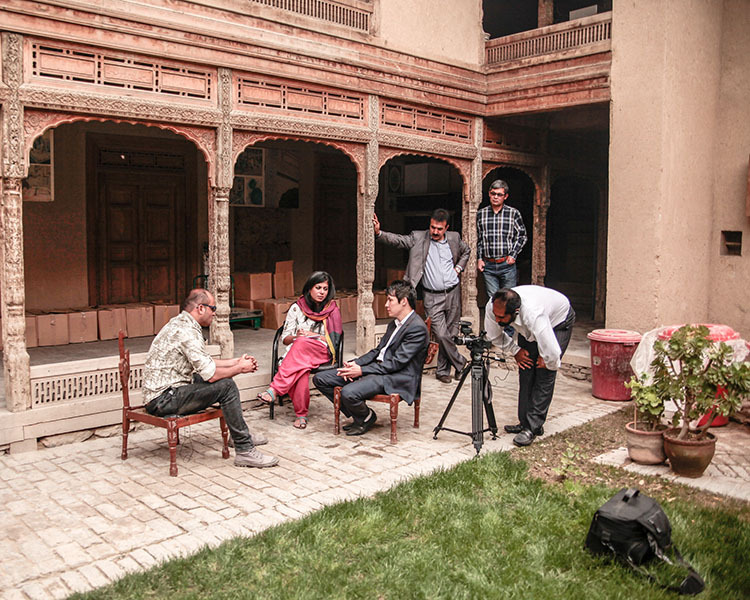 APN’s ambition is commendable, conducting photographers’ training both in Kabul and the provinces, writing and translating photojournalism handbooks into Dari and Pashto, and even drafting and lobbying the Afghan Parliament for a strong intellectual property law. We were made to understand that for photography to flourish in the harshest environments, some sacrifices need to be made. 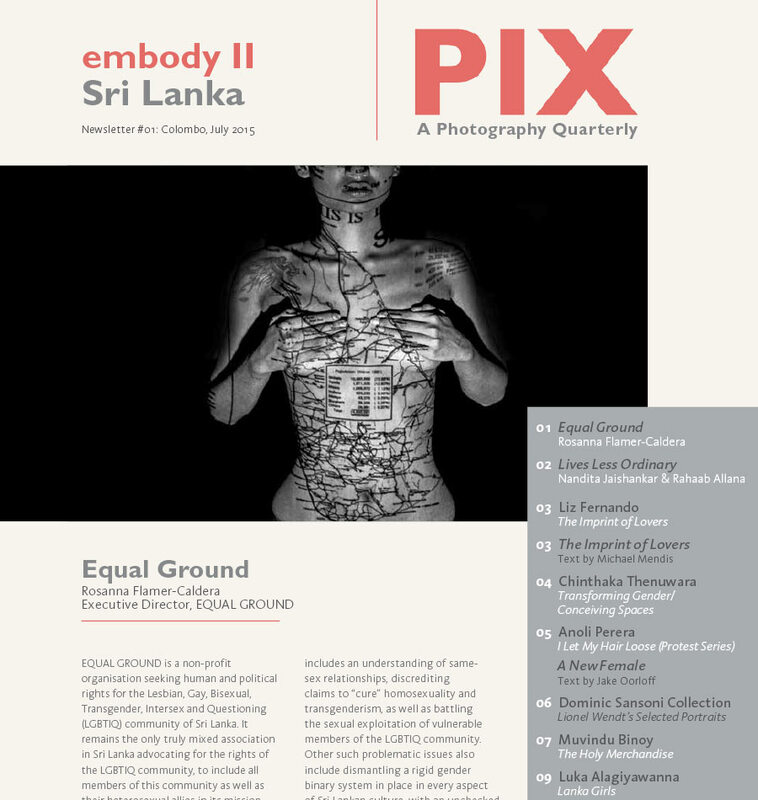 Without free movement and basic equipment, a photographer’s daily struggle in the region is vastly different from many other countries in Asia, drawing attention to all that one takes for granted. 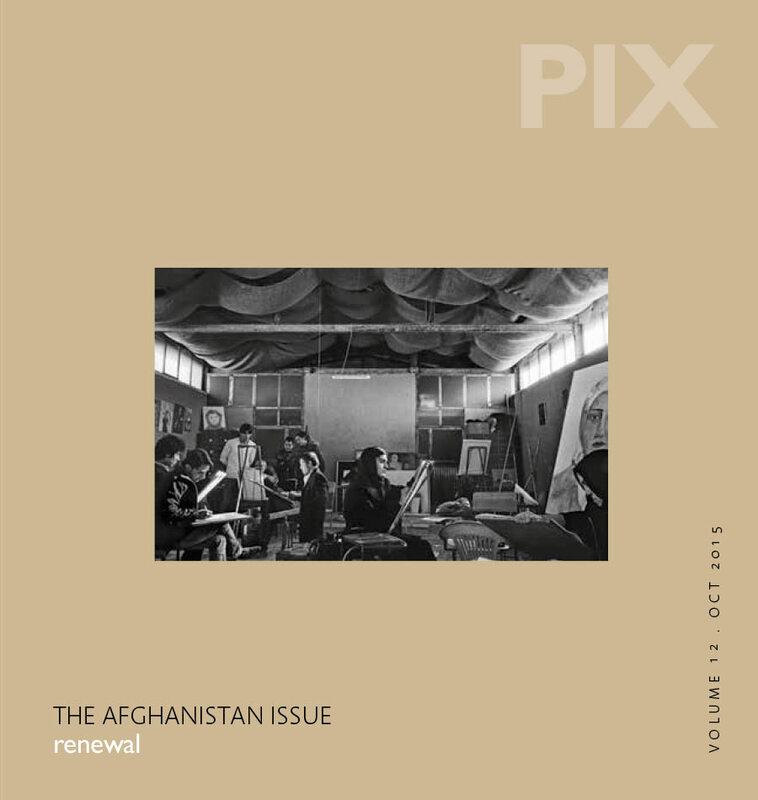 Because of the current scarcity of resources, photography in Afghanistan remains largely frozen in the struggle to manage daily news events and rise above the cliché of war and peace imagery. Only a talented and fortunate few have been able cross the rubicon to tell richer stories with a narrative. The art practice of photography on the other hand seems to show some significant promise with a young, determined faculty at the Kabul University. 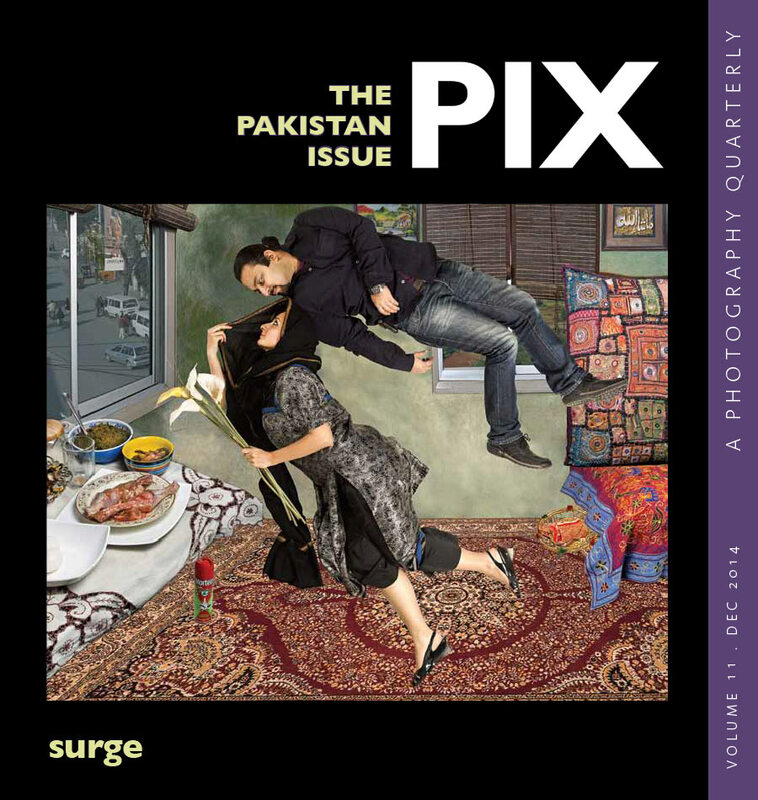 And so, Farzana and Massoud sowed the idea of a workshop conducted later by PIX, as photography education is still in need of greater dissemination and exchange. The idea was simple: conduct a short workshop about telling stories using the tool of the photo-essay, keeping the modules versatile for a wide range of styles – both documentary and art-practice. In late April 2015 we returned excitedly to Kabul to conduct our little experiment. 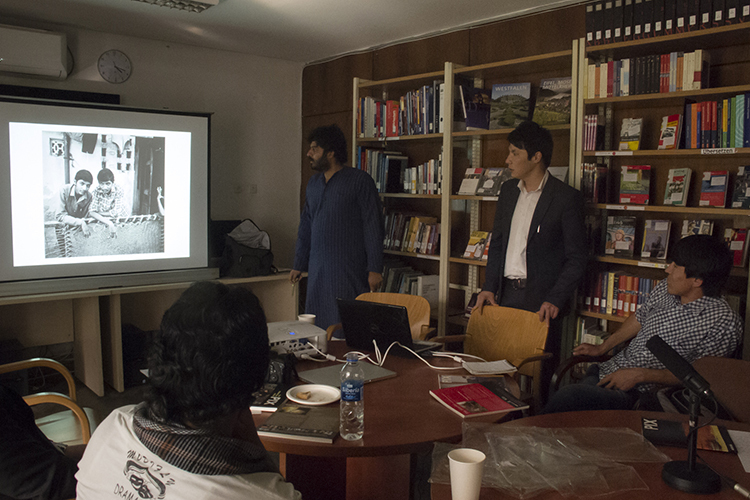 Photography as a Narrative Tool was the working title of a 5-day workshop that we conducted with 14 young Afghan photographers. Most of the students were from the Faculty of Fine Arts, some from the Center for Contemporary Arts in Kabul and some from the 3rd Eye photo agency which began under the aegis of APN. 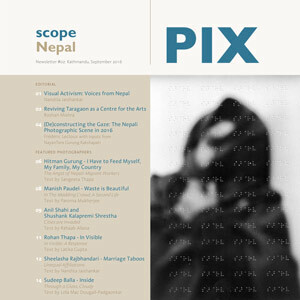 ‘Narrative’ being the main thrust of the workshop, we chose to concentrate an entire day on the photo essay format. The objective here was to acquaint the students with various tropes employed by photographers to be better communicators of their stories. We began by illustrating the basic tenets of storytelling such as structure – the beginning, middle and end – establishing shots, introducing the subjects, and climax and flow using Eugene Smith’s photo essay titled Country Doctor (1948) as a functioning premise. We felt that Smith’s essay serves as an evocative and effective tool to demonstrate a typical assignment following the ‘a day in the life of…’ model. With this preliminary introduction, the idea was to further equip the students with faculties on how to develop their own projects. Discussions were initiated around theme selection, how to use a story to substantively impact the audience, deciding on who the story was intended for, how to build access, how to research and establish contacts, and selecting the best medium for telling the story. Once these facets had been discussed, the students were shown various bodies of work as examples. 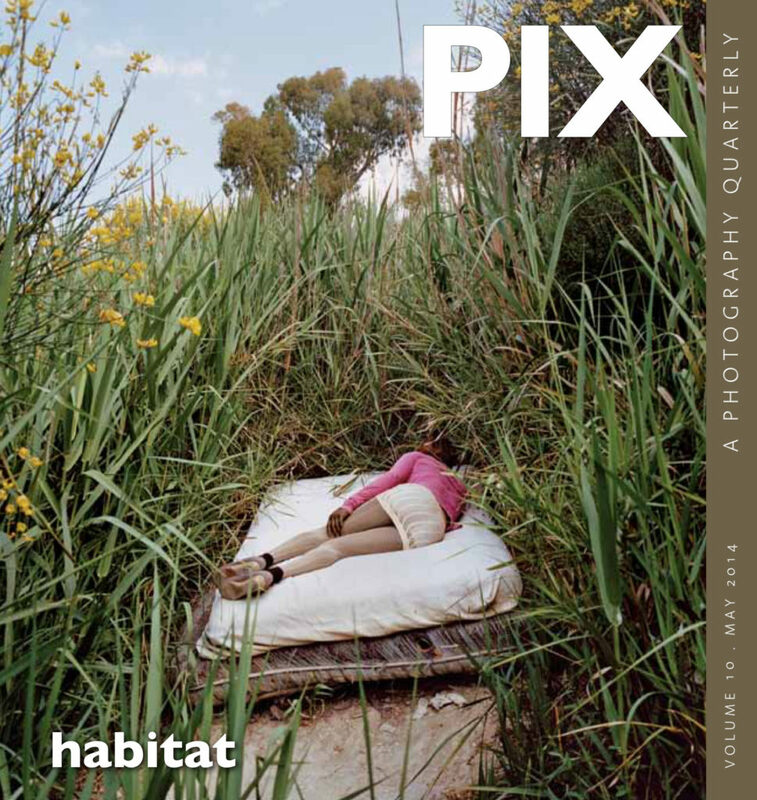 The work ranged from Bruce Davidson’s East 100th Street showing how to photograph an in-depth portrait of a community, to Joakim Eskildsen’s Home where the photographer was looking at a personal narrative around his children and hometown. The contrast between Davidson and Eskildsen’s work, with the latter being a much quieter and abstract telling, was to inculcate a sense of pre-decision and continuity. 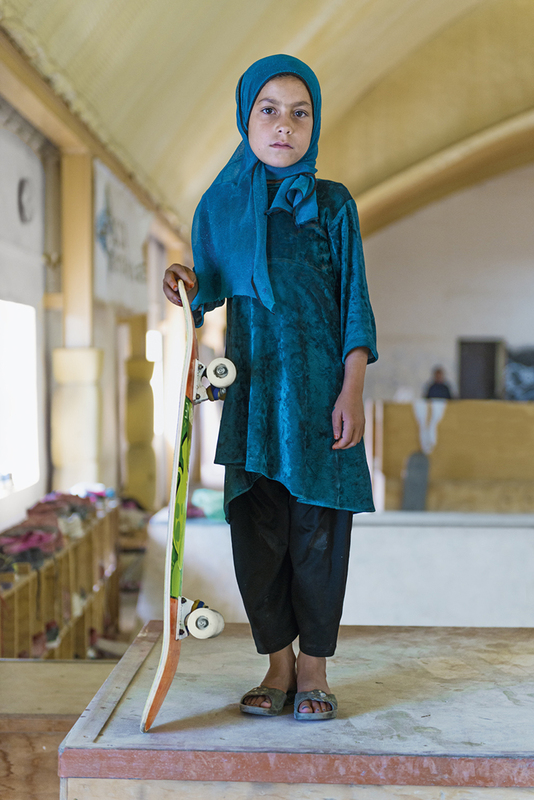 Before the 4-day workshops began, the students were asked to come prepared with an idea of what they would like to photograph in Kabul or Afghanistan more generally. 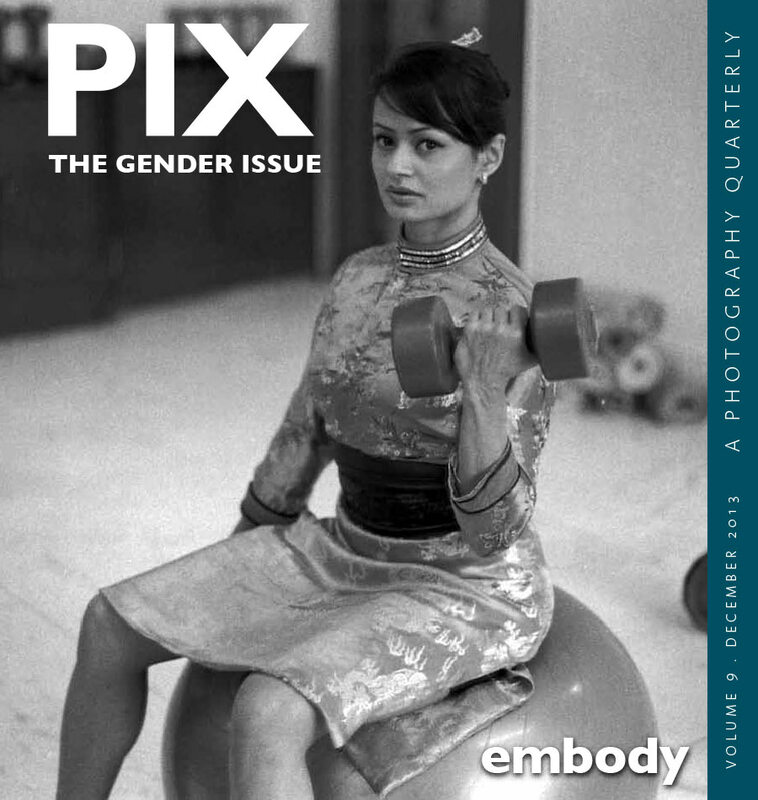 The recurrent themes that were declared included ‘unemployment’, ‘culture’, ‘landscape’ and ‘the position of women’. 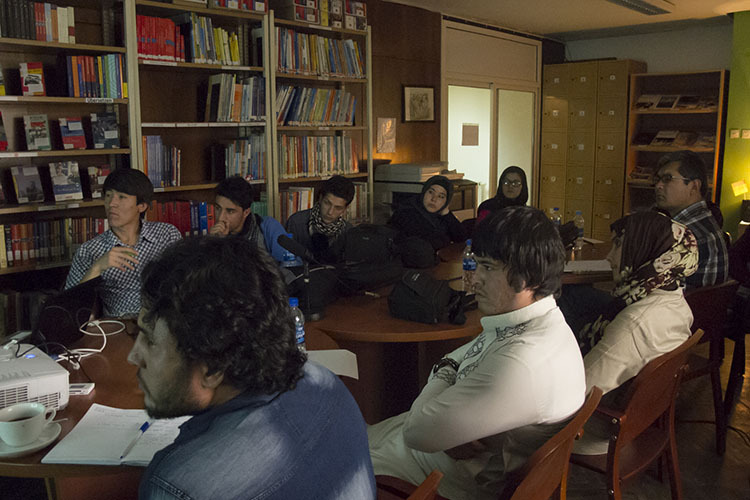 The idea behind the workshop was to further refine these aspects for an Afghan audience. Even though the theme of ‘unemployment’ had been explored numerous times by photographers, one of the students, Isaak Anis (from 3rd Eye Photo Agency) stressed that it had not been explored in detail within Kabul. Discussions were encouraged with the entire class on how to build this unique narrative and Anis was encouraged to start the project within one particular area of Kabul and then expand it to the whole city or various cities within the country. Examples were also given at the macro level, involving stories that focused on the same subject but across a very large control group, say spanning different countries or even continents. Sebastiao Salgado’s Workers was used to illustrate how to adopt a generic theme by building complexity around it and spanning different cross sections of people. Other samples of personal and influential photo essays were used to help the students build ideas around geography and biography – my own (Akshay Mahajan) endeavour titled Slowing Down the Ganges was a point in example. It looked at the evolution of the river Ganga and life around it from the Himalayas till Sagar Island, travelling a total of 1200 miles. Since the story has been (self) published as a ‘Berliner’ (a newsletter format), it also helped students visualise how to work with diptychs and conceive of possible outcomes/ spreads of their work once the shooting stage was over. Rasel Chowdhury’s work on the Buriganga River in Dhaka titled Desperate Urbanization provided a fine contrast to the same general subject (the river in this case). Chowdhury’s work was more attuned to an environmental thrust, focusing specifically on the effect of pollution on the river and how human interference slowly led to its eventual disappearance. Discussions were also initiated on how to build a ‘mood’ in a story using a particular colour palette – for instance, Chowdhury’s use of the faded, de-saturated look, consistent through his entire project, lent an apocalyptic sensibility. Important feedback from the students made us aware that sessions focusing on discussing different bodies of work and deconstructing the images in terms of composition, content, sequence and subject relevance, was most useful to them. 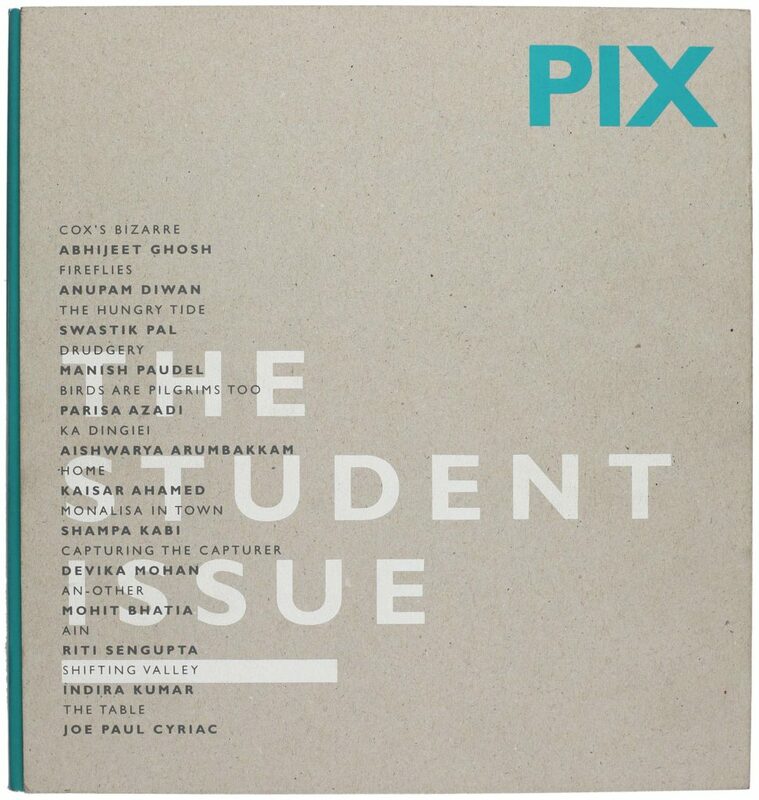 A majority of the students, either having attended a photography program before (in Afghanistan) or learning on the job from their peers in the workspace like the 3rd Eye Photo Agency, have a basic knowledge about the techniques of photography but have little or no exposure on how to string a narrative together. 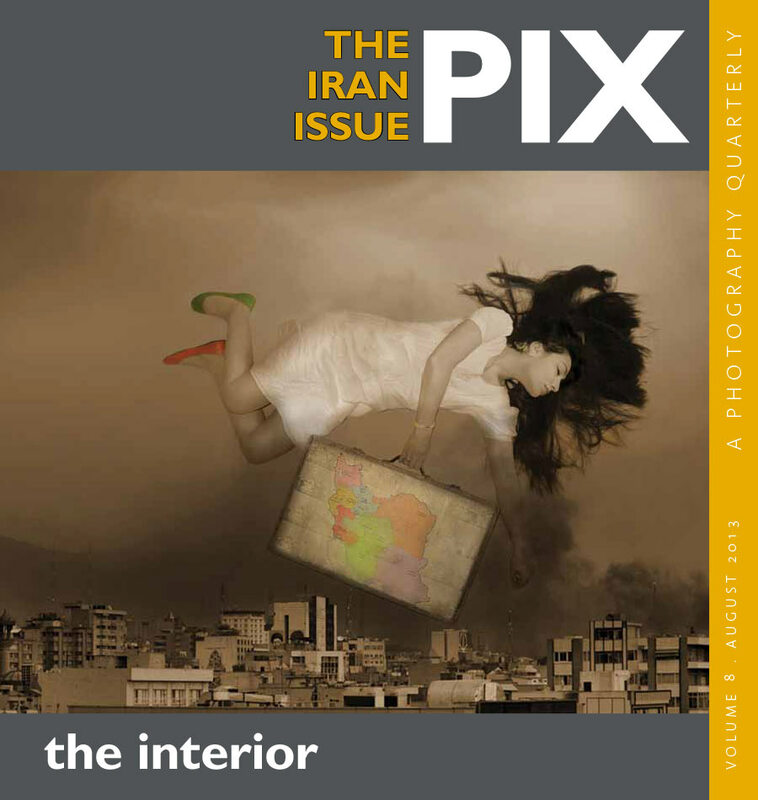 Due to fairly erratic internet availability and next to no interactions with photographers from other countries either at photo festivals, conferences or workshops, these young Afghan photographers feel fairly cut off from their contemporaries overseas. 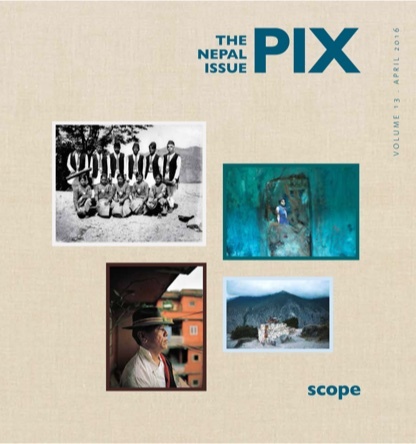 The idea of the PIX workshops was to acquaint them with ideas on how to use their photography skills to communicate effectively about local stories. 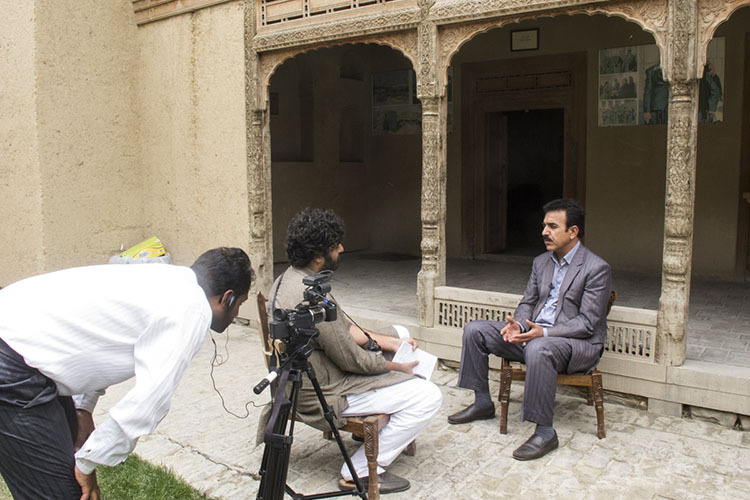 The intention was also to enable them to look at themselves as ‘insiders’, standing at a unique juncture in Afghanistan’s history, because of their privileged understanding of Afghan language, history and culture.